Cyclone Idai hit Beira, home to around half a million people, with winds of up to 170 kilometres per hour last Thursday, before moving inland to Zimbabwe and Malawi. It flattened buildings and triggering flash floods that wrecked roads and submerged entire villages across the region. 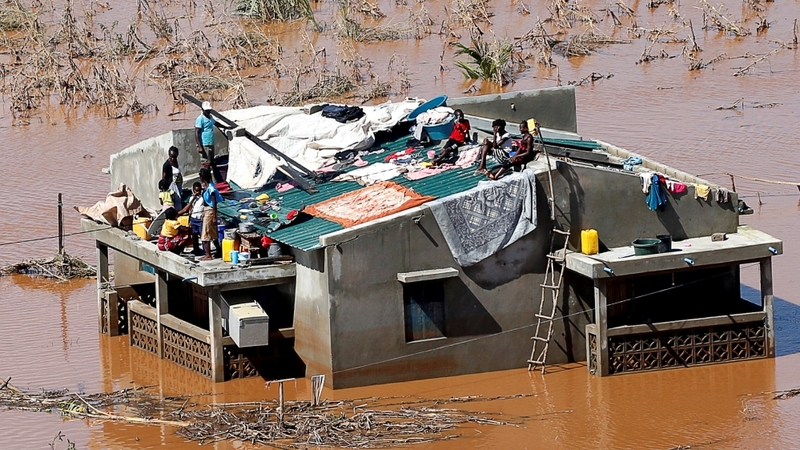 In Mozambique, the cyclone’s torrential rains caused the Buzi River and the Pungue River, whose mouths are in the Beira area, to flood their banks. The scale of the flooding is huge, with floodwaters covering 2,165 square kilometres, according to the UN. In the worst-affected district of Buzi, flooding has created a muddy inland ocean 125km long and 11 metres deep, according to Pedro Matos, emergency aid coordinator for the WFP in Beira. “Either they were able to flee or there are very large number of victims,” he told DPA news agency. Al Jazeera’s Fahmida Miller, who joined a helicopter flight over the region, said only the roofs of buildings were visible in some parts of Buzi.